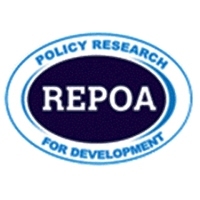 REPOA is an independent policy research institution established in 1994 to undertake research, capacity building, and promote evidence-informed policy development on various aspects of socio-economic transformation for inclusive economic growth and sustained poverty alleviation. It is one of the leading research organizations in Tanzania, and among the top Think Tanks in Sub-Saharan Africa. REPOA believes that evidence-informed policy dialogue and development is necessary for effective planning and designing of interventions for accelerating socioeconomic transformation for inclusive development. REPOA is currently seeking applications from a qualified individual to fill the position of a Senior Resource Mobilization Officer. The Senior Resource Mobilization Officer is expected to support REPOA’s Management in implementing a robust resource mobilization strategy, aiming at raising funds from multiple sources for implementing its strategic plan and fulfilling the organization’s mission and objectives. Attractive remuneration package will be offered to the qualified applicant in line with REPOA’s scheme of service and commensurate with experience.